PLEASE READ THIS DOCUMENT CAREFULLY BEFORE ACCESSING OR USING THE SITE. BY ACCESSING OR USING THE SITE, YOU AGREE TO BE BOUND BY THE TERMS AND CONDITIONS SET FORTH BELOW. IF YOU DO NOT WISH TO BE BOUND BY THESE TERMS AND CONDITIONS, YOU MAY NOT ACCESS OR USE THE SITE. SOCCER SPORTSPLEX MAY MODIFY THIS AGREEMENT AT ANY TIME, AND SUCH MODIFICATIONS SHALL BE EFFECTIVE IMMEDIATELY UPON POSTING OF THE MODIFIED AGREEMENT ON THE SITE. YOU AGREE TO REVIEW THE AGREEMENT PERIODICALLY TO BE AWARE OF SUCH MODIFICATIONS AND YOUR CONTINUED ACCESS OR USE OF THE SITE SHALL BE DEEMED YOUR CONCLUSIVE ACCEPTANCE OF THE MODIFIED AGREEMENT. IN NO EVENT WILL SOCCER SPORTSPLEX BE LIABLE FOR (I) ANY INCIDENTAL, CONSEQUENTIAL, OR INDIRECT DAMAGES (INCLUDING, BUT NOT LIMITED TO, DAMAGES FOR LOSS OF PROFITS, BUSINESS INTERRUPTION, LOSS OF PROGRAMS OR INFORMATION, AND THE LIKE) ARISING OUT OF THE USE OF OR INABILITY TO USE THE SERVICE, OR ANY INFORMATION, OR TRANSACTIONS PROVIDED ON THE SERVICE, OR DOWNLOADED FROM THE SERVICE, OR ANY DELAY OF SUCH INFORMATION OR SERVICE. EVEN IF SOCCER SPORTSPLEX OR ITS AUTHORIZED REPRESENTATIVES HAVE BEEN ADVISED OF THE POSSIBILITY OF SUCH DAMAGES, OR (II) ANY CLAIM ATTRIBUTABLE TO ERRORS, OMISSIONS, OR OTHER INACCURACIES IN THE SERVICE AND/OR MATERIALS OR INFORMATION DOWNLOADED THROUGH THE SERVICE. BECAUSE SOME STATES DO NOT ALLOW THE EXCLUSION OR LIMITATION OF LIABILITY FOR CONSEQUENTIAL OR INCIDENTAL DAMAGES, THE ABOVE LIMITATION MAY NOT APPLY TO YOU. IN SUCH STATES, SOCCER SPORTSPLEX’S LIABILITY IS LIMITED TO THE GREATEST EXTENT PERMITTED BY LAW. SOCCER SPORTSPLEX the copyright owner of all text contained on this website. SOCCER SPORTSPLEX and any other trademarks and service marks of SOCCER SPORTSPLEX, Inc or its domestic affiliates that may be referred to on this website are the property of SOCCER SPORTSPLEX or one of its affiliates. Other parties' trademarks and service marks that may be referred to are the property of their respective owners. The information contained on this website is provided for general informational purposes, as a convenience to the customers and as a public service. The materials are not a substitute for obtaining professional advice from a qualified person, firm or corporation. Consult the appropriate professional advisor for more complete and up-to-the minute information. SOCCER SPORTSPLEX is not engaged in rendering any legal or professional services by placing these general informational materials on this Website. 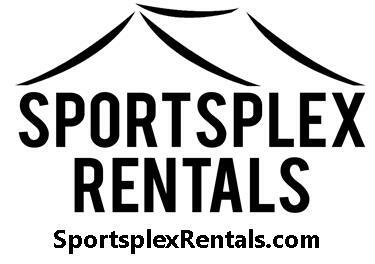 SOCCER SPORTSPLEX makes no representations or warranties about the accuracy or completeness of the information contained on this Website. Any links provided to other server sites are offered as a matter of convenience and in no way are meant to imply that SOCCER SPORTSPLEX endorses, sponsors, promotes or is affiliated with the owners of or participants in those sites, or endorses any information contained on those sites, unless expressly stated.